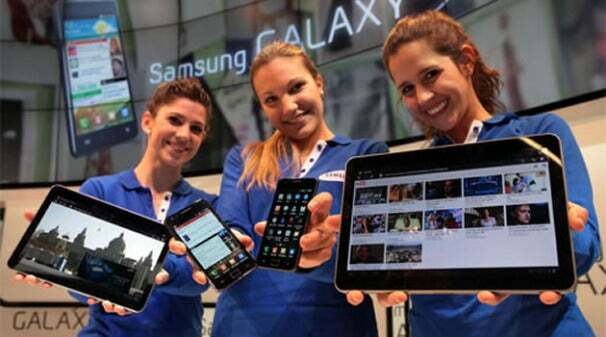 The rumors were true: Samsung unveiled the Galaxy Tab 10.1 today at its Unpacked event in Barcelona. Running Android Honeycomb (also known as Android 3.0), the latest Tab sports a 10.1-inch LCD display with a resolution of 1280 by 800 pixels. The Tab 10.1 joins Samsung's arsenal of Android devices including the original 7-inch Galaxy Tab and the Galaxy S II smartphone, which was also announced tonight. I got a chance to play with the Galaxy Tab 10.1 briefly at the event and I have to say, I really like the larger size. Recently at another press event I tried to take notes with the 7-inch Galaxy Tab and found it a bit awkward and small for my liking. The Galaxy Tab 10.1 handles very nicely. It is lightweight (lighter than the 25-ounce Motorola Xoom at 21 ounces), thin (a mere 0.44 inches) with a nice textured back. Samsung's phones generally have textured backs, which I always appreciate because it not only gives them a unique look, but it also makes the phones easier to grip. It makes even more sense in the tablet world. I found that I could comfortably hold it in one hand (and my hands are small) and type out a quick message with the other without feeling like I was going to drop it. 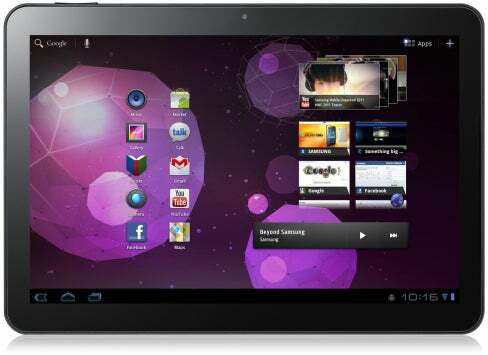 Like the Motorola Xoom and the LG G-Slate, the Tab 10.1 is powered by an Nvidia Tegra 2 dual-core processor and runs the vanilla version of Honeycomb. There's no TouchWiz overlay for this tablet, which is kind of surprising considering TouchWiz is on the 7-inch Tab and all of the Galaxy S phones. Check out our full hands-on of Google Honeycomb for more about its user interface. Other specs include an 8-megapixel back-facing camera and a front-facing 2-megapixel camera for video calls. For the fun of it, I snapped a picture with the back-facing camera and yes, it felt totally awkward. In the tablet wars, it is hard to see how the Galaxy Tab 10.1 will differentiate itself from the rest of the pack. I mean, unless you're really partial to Samsung products, why pick the Tab 10.1 over the Xoom or the G-Slate? Stay tuned for more mobile and tablet news out of Mobile World Congress 2011 in Barcelona this week!